I have broad interests in the area of behavioral ecology including navigation, mate selection, and social interactions. Most of my time recently has been devoted to the questions of spatial orientation and memory. 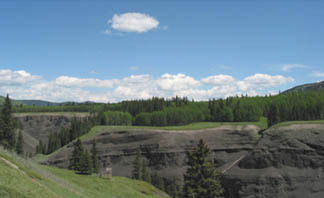 In the wild animals are often faced with an enormous number of cues that could potentially be used as landmarks and aid in navigation. Which features of the environment do they use then? 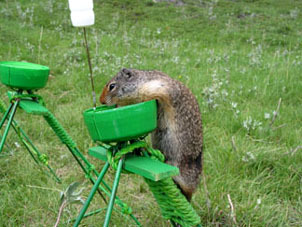 Columbian ground squirrels have well-developed spatial memory for foraging and escape from predators. In my studies I have been investigating the function and relative importance of local and global landmarks during foraging and escape. Columbian ground squirrels are polygynous species where males provide no parental resources. However, females actively choose their mates. I am interested in identifying male behavioral characteristics that are important for female choice. 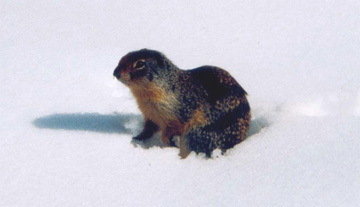 Columbian ground squirrels occupy alpine and subalpine meadows.